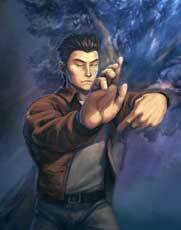 Ryo Hazuki is the 18 year old main protagonist of the Shenmue series by Sega. He searches the murder of his father and goes on a Journey to Hong Kong to search for clues in Shenmue 2. The story was going to continue but due to multiple financial reasons Shenmue never continued sadly for over 14 years. Ryo is using martial art techniques in the games ranging from Karate to Jiu Jitsu and Kung Fu moves. Ryo returned as a playable racing game character in Sonic & Sega All-Stars Racing in 2010 and in the PC Version of the sequel Sonic & Sega All-Stars Racing Transformed (2014 as DLC).